Hi there, Photoshop Goddess (or Guru)! Basically we'll use mockups photographed and designed by other designers who did all the hard work, open them, and drop our own object in. So you want your poster to look like a printed poster sitting in a frame? Done. There are literally hundreds of smart object mockups out there - I like Creative Market product mockups best. You can edit mockups of every day designs, such as a desk with computer, flower pots, toys, and more. 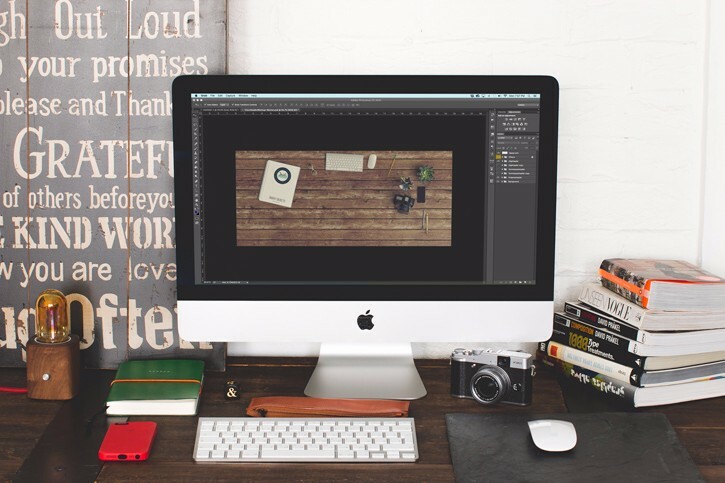 Add in a frame with a poster hanging on the wall, a screenshot of your screen on the monitor, photos of your products sitting in a frame on the desk, and more. 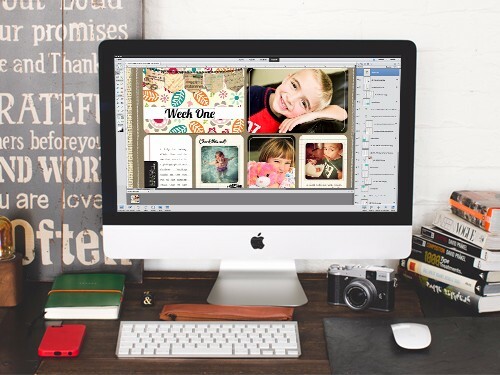 What a great way to advertise products, decorate your blog or business pages, and more! These mockups are great for bloggers, Etsy sellers, Ebay sellers, photographers, and more! Take Photoshop CC further with your designs. This class will walk you through how to navigate through Photoshop CC to edit pre-made mockups. I'll show you how to add your photos and graphics to a few different styles of mockups, as well as create something to add to a mockup. By the end of class, you will also be able to identify which kind of mockup goes with your projects and photos. And more! Photoshop CC. No other version of Photoshop will work with this course. If you would like to try it out, you can download the free 30-day trial of Photoshop CC 2015 from Adobe.com. You'll be able to take the class just fine! Photoshop is intimidating, but I'll be right there with you. This course is broken down into manageable, easy to follow lessons, that allow you to practice your new skills. And once you have completed the course, it will always be there for you to refer to and refresh your skills. I love Photoshop and it's this love that I want to share with you! Register now, and I'll see you in class!